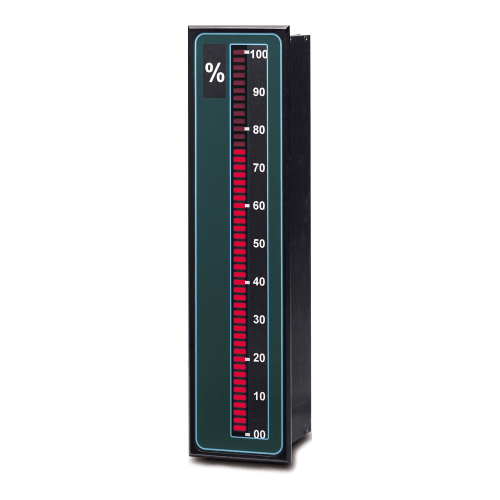 Laurel Bar Graph Displays Distributed by FLW, Inc.
30-segment bar graph meter with 75 mm (3") scale length for 4-20 mA, 0-1 mA, 0-10V, or 1-5 V signals. Optional dual-relay output. 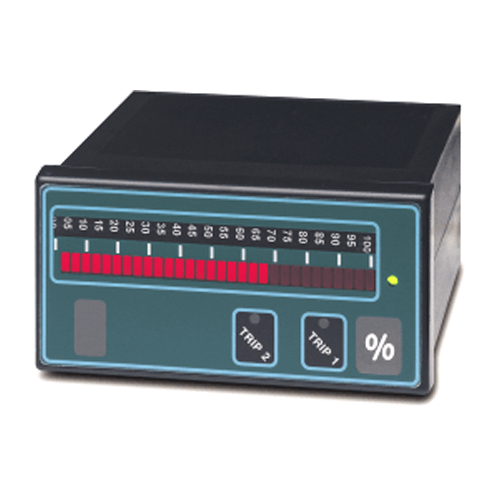 50-segment bar graph meter with 250 mm (10") scale length for 4-20 mA, 0-1 mA, 0-10V, or 1-5 V signals.